Our faculty and affiliates engage in a broad range of collaborative research projects with our academic, government, and industry partners. While most of our projects expand beyond traditional disciplinary divides, projects in this area are closely related to ecology, remote sensing, and environmental modeling. You can also find more information about our Ecological and Environmental Informatics research. Earth system models operate in a world without animals: they largely assume that animals have negligible effects on global processes. Chris Doughty has developed models that indicate that large animals may play important roles in regional and global biogeochemical cycles. 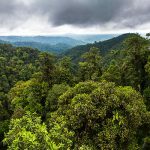 Every year, tropical forests uptake about 18% of human CO2 emissions, likely due to CO2 fertilization effects and increased forest productivity, but this uptake may be decreasing. 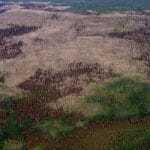 At some point, such fertilization effects will decrease as tropical forest growth is limited by climate change induced droughts and those human caused CO2 emissions will remain in the atmosphere, further increasing global warming. This project’s integration of remote sensing and tree-ring studies of vegetation will yield a comprehensive assessment of the impact of climatic and environmental change on tree and shrub growth across the taiga and tundra ecosystems of northwestern North America, provide insight into their vulnerability and resilience, and allow inferences to be made on how they are likely to be altered in the future. Tree and shrub growth in the Arctic is important because it regulates climate through a range of feedback mechanisms that are not only complex but also rapidly changing with climate warming. 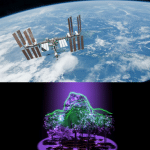 Global Ecosystem Dynamics Investigation (GEDI) is a NASA Earth Venture mission designed to build, launch, and install a LiDAR (Light Detection and Ranging) instrument on the International Space Station, and derive a suite of forest canopy structure and biomass products. The GEDI LiDAR will fire billions of laser shots at the surface over the earth over its 2-year operational period (2019-2020) that will allow the science team to map forest canopy heights, canopy three-dimensional structure, aboveground biomass, and surface topography with unprecedented accuracy. GEDI data products will be useful for a range of science applications with societal benefits, including informing models of carbon and water cycling processes, biodiversity and habitat mapping, weather forecasting, forest management, glacier and snowpack monitoring, and more accurate elevation models of the earth’s surface. 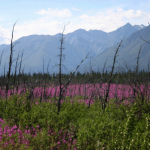 This project, part of the Arctic Boreal Vulnerability Experiment (ABoVE), is designed to assess the evidence for vegetation changes and transitions consistent with expectations of a biome shift resulting from changing climate in the high latitudes of North America. We are investigating the implications of such a shift on both flora and fauna, and exploring options for resource management adaptation to change. During the last half century, the magnitude of seasonal variability in CO2 exchange has increased by 30-50% in high latitude environments, with two thirds of this change attributed to increased CO2 flux in boreal forest and arctic tundra. Mechanisms for this change have been identified but the relative contributions of each of these mechanisms are not well understood. 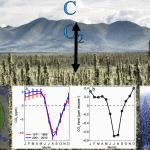 Given that these increases in seasonal CO2 flux impact carbon cycling and climate feedback in boreal forest and tundra ecosystems, it is important to fully understand the underlying mechanisms. 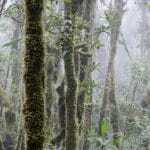 Human activities are increasingly fragmenting intact habitats and reducing connectivity among protected areas. The United Nations Development Program (UNDP) is working with 135 countries to implement National Biodiversity Strategy Action Plans (NBSAPs) to minimize and mitigate impacts of habitat fragmentation on biodiversity. We are working closely with the UNDP to (1) develop satellite-based products that are global in extent, but also relevant at the regional level for mapping forest integrity and assessing habitat fragmentation and connectivity; and (2) use the products to inform a decision support system (DSS) hosted by the UN Global Pulse Lab that includes tools for summarizing regional data, evaluating forest condition and trends, and communicating results to stakeholders. These products and tools have the potential to improve the transparency, consistency, and sustainability of land use decisions in developing countries. 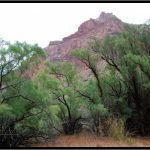 We are conducting a regional analysis to determine how dryland plant communities in the southwestern U.S. respond to climate change. We integrate past local and regional patterns in climate with long-term vegetation datasets to identify plant species and functional types that increase or decrease with climate change. Tamarisk trees have invaded many riparian ecosystems across the southwestern U.S. A bio-control agent, known as the tamarisk beetle, was introduced in the Grand Canyon, Arizona in 2009 to control the invasive tamarisk. Using high-resolution multispectral images and 3-dimensional lidar data, we are quantifying the impact of the tamarisk beetle on tamarisk distribution and individual tree biomass. 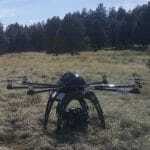 Using a custom-engineered octocopter UAV, Dr. Sankey uses its unique capability to carry a large payload that includes a hyperspectral sensor, which images the Earth surface in over 300 spectral bands at 5 cm resolution, and a lidar scanner, which images the land surface and vegetation in 3 dimensions.